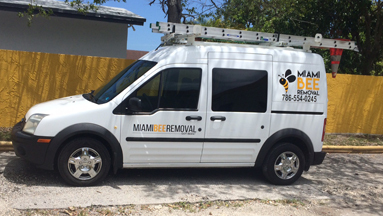 Miami Bee Removal Corp. | 786-554-0245 – Bee Removal Miami Deserves. 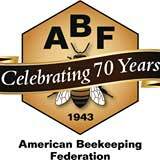 We have been removing bees for many years. We Guarantee all of our Miami bee removal and bee swarm removal jobs. Our prices are very competitive, and we give free friendly estimates. We look forward to your call. 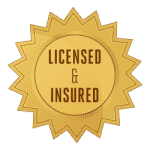 We are licensed and insured professionals. We will get the job done correctly the first time, so you can have peace of mind. You have made the best choice for your home, and for your family when you call our bee removal Miami Company. If you have bees or a bee hive in your yard or home, you’ll want to get rid of them as soon as possible. Bees are a necessity for our survival, but they are also dangerous and pose an immediate threat. Especially when they are Africanized Bees. When a bee hive is located on your property, make sure you contact a bee removal specialist. Never call a beekeeper. They are neither trained in successful bee removal miami and bee-proofing techniques, nor are they licensed or insured. It’s illegal to do live removals for an Africanized Bee-hive. Properly getting rid of a bee hive can be tricky, and requires a particular set of skills that have been acquired over a very long time. The behavior of bees is more complicated than one might think, and only an experienced bee removal technician will be able to handle any unforeseen circumstance that may occur. Our technicians have been dealing with removing bees for a very long time. Our Bee-Department only handle bee-hive removals. This is all we do! You don’t want to find yourself stuck paying hidden fees, or dealing with contractors who don’t show up on time, nor know anything about bees. A bee hive problem is a headache on its own. You don’t need the service you hire to add to the problem. We pride ourselves in our work, and we expect a 100% successful bee removal every time. We take out the guess-work out of eliminating bees from your property using proven techniques. No one wants to deal with having a bee hive on their property, nor bees returning. Thankfully, with our guaranteed bee removal service, you can make bees a thing of the past. We’ll get rid of your bee problem quickly and effectively, and we’ll do it at a competitive price. We also do wasp removals, and wasp nest removals. Bees and wasps are both known to build their nest whenever, and wherever they see fit. As long as there is a cavity which can provide protection against wind and heat, they can and will build their hive there. We are known to remove bees from odd locations. We offer a 100 day guarantee on all of our bee removal jobs. If we remove a swarm from a tree branch. We guarantee that they won’t come back. It’s location specific. That means that if “other” bees return to a “different” part of the tree, then it’s a “new” hive and a new problem which is not guaranteed. Rule of thumb is that if they don’t come back within 30 days, they don’t come back. Our 100 day guarantee is designed to give you peace of mind because we are so confident with our work that we give the longest guarantee possible. 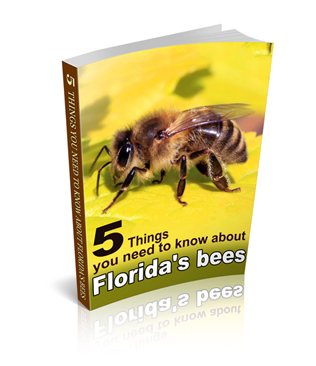 Visit the University of Florida and Entomology to learn why the State recommends destruction of the bees and their hive, and why bee extermination is the safest option regarding Miami Bee Removal. Nosotros removemos avispas y abejas tambien. 5 STAR stamp of APPROVAL!